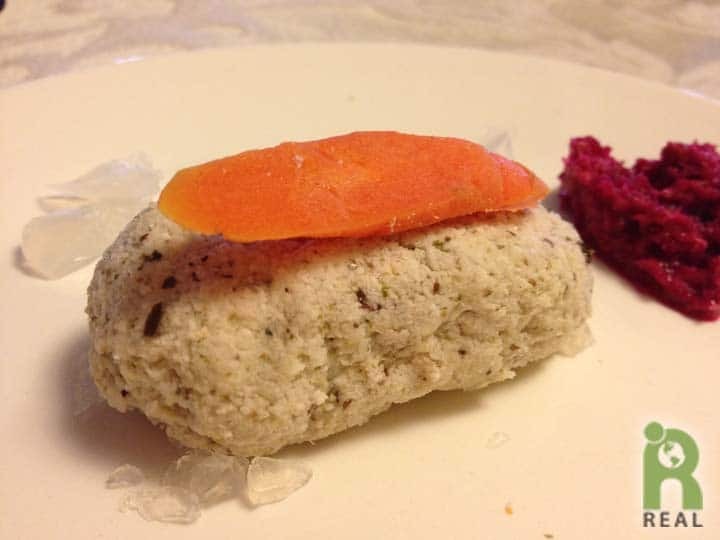 Traditionally served as a first course during the Passover seder dinner, this vegan version of Gefilte Fish, can be served as an appetizer anytime. Soak almonds in water for at least 8 hours. Drain and remove skins if not using blanched. (I prefer using the raw almonds and removing the skins by slipping them off each almond, one by one. It is time consuming but can be relaxing.) Rinse almonds and shake them dry in a colander. Process almonds in a food processor, pulsing at first, then blending until the consistency of a dry cheese or coarse meal, turning the power off occasionally to scrape down the sides. Scoop the almond dough into a bowl. Season with Old Bay and stir in potato starch and onions. With a pair of tongs take a 1/4 sheet of nori and wave it over a gas flame for about 5 minutes to toast it. If you don’t have a gas stove you can toast the nori in a 400oF over for 5 minutes. Using a spice mill or mini chopper, grind the toasted nori into a powder. Mix into the almond dough. 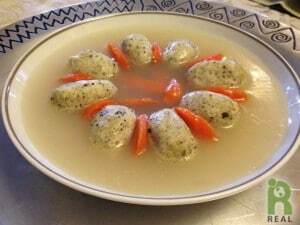 Mold the almond dough into desired shape: small balls, egg-shaped or flattened logs. Line a steamer basket with the kale or cabbage leaves. Place in a pot with water, just enough, not overflowing into the basket. Cook on high heat, covered until the leaves are limp. Carefully place the almond balls on to the leaves. Cover and let cook for about 20 minutes. Remove and cool. Slice the carrots thinly along the diagonally. Add to boiled water, lower heat and cook until tender. Remove the carrots from the water and cool. Bring 2 cups of hot vegetable broth or water to a boil. Lower heat to a simmer. Add in agar agar powder. Stir mixture until agar agar is dissolved, at least 15 minutes. Add in one additional cup of hot broth or water and cook until all the agar has dissolved. Keep on low heat until ready to pour on “fish”. Place each “fish” in a small dish, topped with a carrot or put them all in a large serving dish. If using the jelly, pour the vegetable brother over each “fish” and let set. Chill until ready to serve. Or the jelly can be poured into a large glass jar. 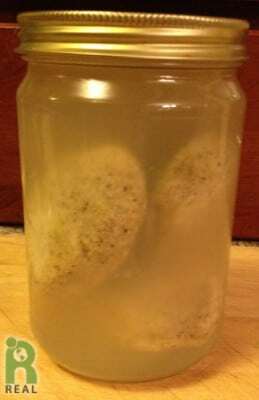 Allow to cool to luke warm and then place the “fish” in the jar. Cover and refrigerate until ready to serve. We love organic almonds! Nuts.com is one of our favorite places to get them. This recipe is absolutely brilliant. I don’t know how you came up with it but I’m so glad you did.